In lieu of a regular meeting, this week we hosted a special speaker in the form of Robyn Lewis, a former ice addict who spoke about her remarkable recovery. Several member of the Coolamon Lions club were present, along with a few students at Coolamon Central School and other members of the community. Robyn described how she became addicted to numerous substances (simultaneously) and wrestled with this crippling affliction for 17 years. Along the way, she became estranged from her daughter and saw her partner and several friends meet violent ends, either at the hands of others in the drug community or their own hand. Robyn supported her drug habit mainly by shoplifting, which is apparently a common source of income for many drug addicts and has become a significant financial burden on many retailers. Amazingly, Robyn has been able to turn her life around, largely due to the efforts of SMART Recovery, an international program that assists addicts in kicking their drug habits. It was truly inspiring to see how Robyn has been able to resume a normal, productive life. Robyn is now employed full time and has made it her mission to inform others about the dangers of ice and other addictive substances, mostly on her own dime. Robyn has been frustrated, however, by the unwillingness of school districts to allow her to spread the word to school-aged children, which is probably where this education is needed most. The club will be pursuing various angles to see if inroads can be made to the schools. President Daryl thanks Robyn Lewis after her presentation. 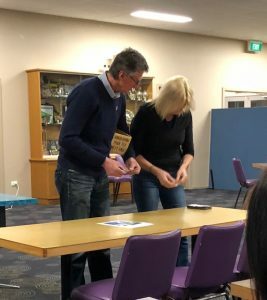 The club thanked Robyn by presenting her with a financial contribution to help defray the cost of travelling to various locations in the area to give similar presentations. Answer to last week's Quote of the Week: The 'J' stands for "genius"! Hardly! 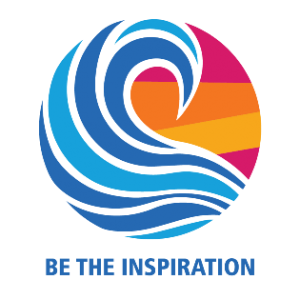 *Monday, 20th August - Guest speaker: Phil McIntosh & David Byfield, Wollundry Rotary (Gears & Beers). Coolamon Sport and Rec Club, 6:30 for 7:00 pm. Saturday, 25th August - Randle Family ‘More Than Words’ Charity Day. Roster will be established at Monday's meeting, so if you're unable to attend on Monday but would like to help out on the day, please let Daryl know. Monday, 27th August - Regular meeting. Coolamon Sport and Rec Club, 6:30 for 7:00 pm. * Monday, 10th September - Guest speaker: John Nixon, CanAssist. Coolamon Sport and Rec Club, 6:30 for 7:00 pm. Thursday, September 13th - Bingo. Community Centre Hall, 7:00-10:00. Wayne L (Captain), Dave, Bruce & Howard. We are still looking at appointing one more Assistant Governor. We are also looking at the structure of all the Standing Committees and the Special Committees. This entry was posted on August 19, 2018 at 9:07 am. You can follow any responses to this entry through the RSS 2.0 feed. Both comments and pings are currently closed.